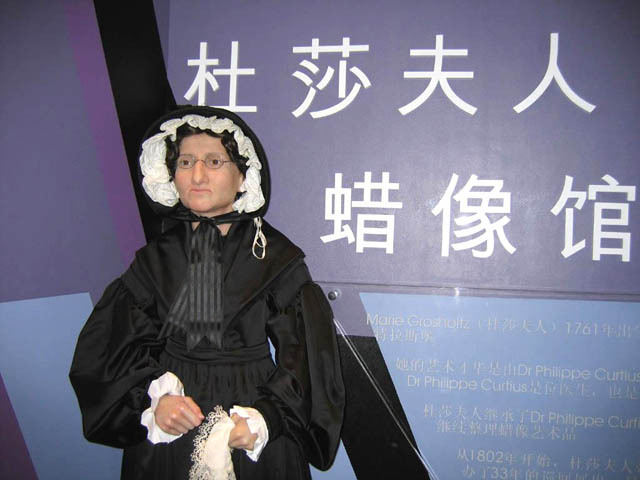 Located at the Peak Tower on The Peak of Hong Kong, Madame Tussauds Hong Kong is a unique celebrity-inspired museum and is part of the world famed chain of wax museums founded by the French artist Madame Marie Tussaud (1761-1850). Open to the public since 2000, Madame Tussauds Hong Kong features over 100 wax figures of stars, world leaders and sports heroes - and the number still keeps updating. 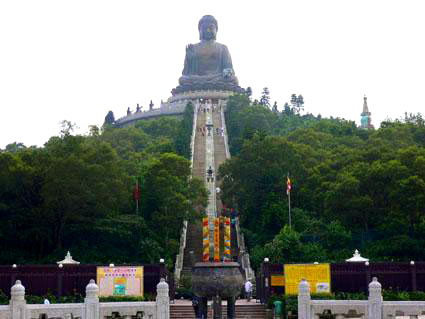 Since its opening, it has attracted numerous attention from at home and abroad. 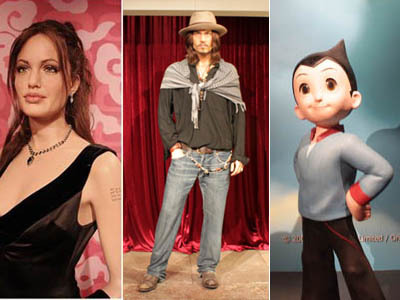 Asian celebrities and stars have often graced the unveiling of their wax likensses with sizable groups of their fans tagging alone. 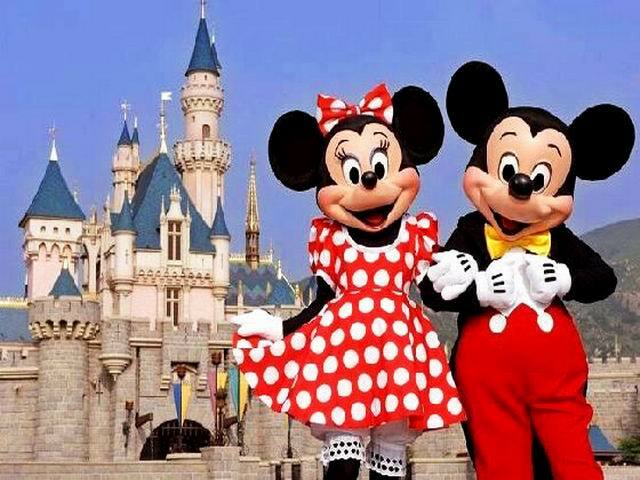 In September 2005, it began its renovation in its effort to bring an interactive and immersive entertainment experience to visitors. And now it offers visitors an unprecedented hands-on experience with audiovisual effects at its celebrity waxworks museum. -- Hong Kong Glamour: Join the party with all these sparkling stars! Feel the heartbeat of Andy Lau, or walk down the red carpet with Australian Oscar beauty Nicole Kidman, or play a tune with Lang Lang! -- World Premiere: As if in Hollywood! Meet Captain Jack Sparrow (Johnny Depp), or play Chinese Kung Fu with Jackie Chan, or encounter the anime superhero Astro Boy! -- Music Icons: Who's your favorite music star? Wanna be on stage with him/her? Here are Madonna, Teresa Teng, Michael Jackson, Lady Gaga and a lot more! Music stars from the 1960s to the present day. -- Historical and National Heroes: Meet world's most famous historical and political leaders and icons here. The British Royal Family, Barack Obama, Albert Einstein, Wolfgang Amadeus Mozart... You can get a close touch with them! -- The Champions: Face to face with your sporting heros! Shoot hoops with Yao Ming, or run with Liu Xiang, or play football with David Beckham! -- SCREAM: Enter if you dare... Frankenstein's Lab, grotesque monsters, convicted criminals and psychopathic killers... All have broken loose from their restraints. Find your way out! The Madame Tussauds waxworks museum has a rich and fascinating history dating back to the year of 1880. At that time in Paris, France, Madame Tussaud learnt to model wax likenesses under the tutelage of her mentor, Dr. Philippe Curtius. When she was 17, she become art tutor to King Louis XVI's sister at the Palace of Versailles. During the French Revolution, Madame Tussaud was forced to prove her allegiance to the feudalistic nobles by making death masks of executed aristocrats. In the early 19th century, Madame Tussaud came to Britain, alongside a travelling exhibition of revolutionary relics and effigies of public heroes and rogues. In 1835, Madame Tussauds' exhibition established a permanent base in London as the Baker Street Bazaar. The attraction moved to its present site in Marylebone Road come 1884. In over one or more sittings, a highly skilled sculptor from Madame Tussauds Studios who is given direct access to the celebrity will record the colors of the hair and eyes, and over 500 precise body measurements are referenced. Most important is to capture the look of the celebrity in order to reflect the personality of each unique individual. The next task is to make a clay model of the head and body which is used to create a mould. 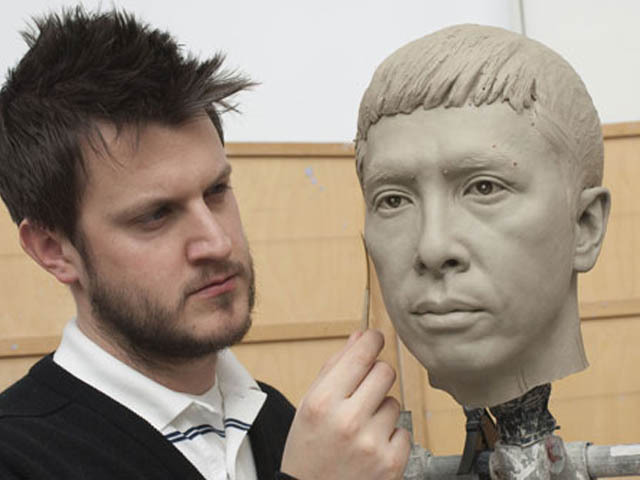 Wax cast of the head and hands are made from the mould, and the eyes are inserted. Each eye is hand-painted to achieve a perfect match of the original.Real human hair is then inserted painstakingly strand by strand. The head and hand are colored using a blend of oil, water and acrylic color. From the mould, the body is cast in fibreglass, and the head and hands are fitted to the fiberglass body and dressed in clothes that are often donated by the celebrity. The pose, clothes and expression on the face all contribute to making the figure as realistic as possible. 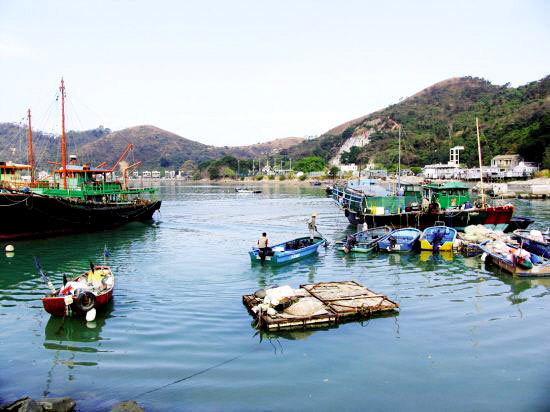 The whole process usually takes up to six months by a team of 20 people to create and cost about HK$1 million each. 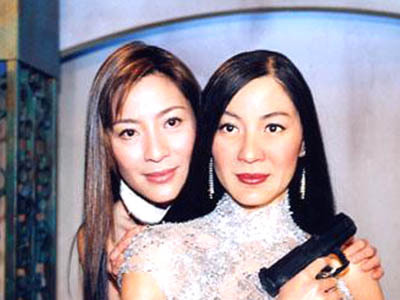 -- The figure of Andy Lau (in picture), unveiled on April 2005, was the outlet first animatronic model that was crafted out of silicone rather than wax. Lau's animatronic heartbeat was modelled on a similar system installed in a replica of Brad Pitt at Madame Amsterdam. 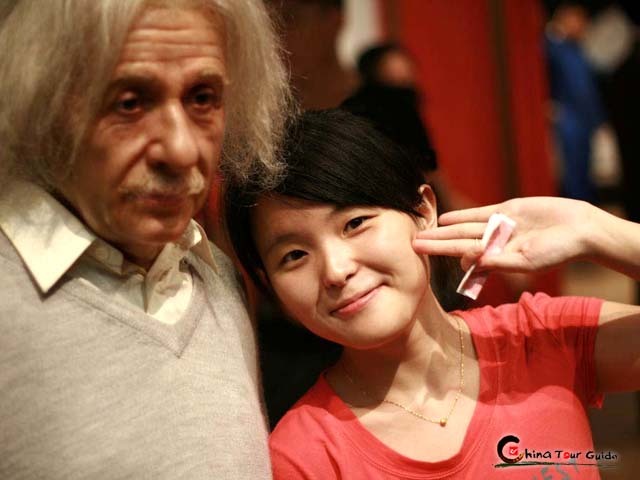 -- The figure of Miriam Yeung, unveiled on Nov. 2006, is the first in the world designed to giggle via in-built sensors, in order to capture her fun-loving and bubly personality in essence. -- The figure of Connie Chan, unveled on Aug. 2006, is the first figure to appear in full Chinese regalia. -- The figure of Bae Yong Joon, unveiled on May 2006, is the first Korean star to be included in a Madame Tussauds exhibition. Madame Tussauds Hong Kong - How to Get There? Transport: The Museum is accessible from Central via bus, minibus, taxi or Peak Tram. 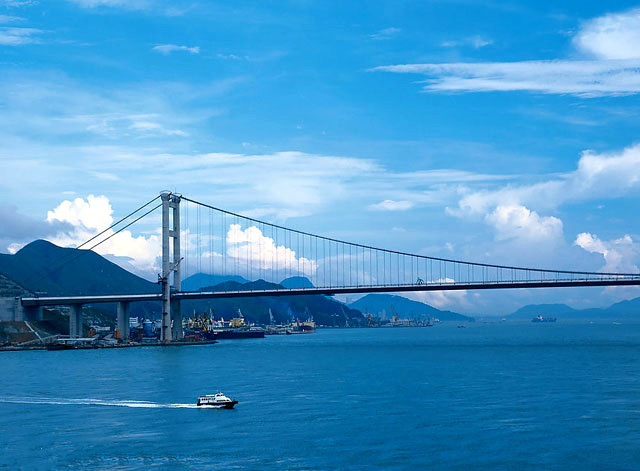 Minubus No.1 departs from Hong Kong Station Exit A1, and IFC minibus Central Station every 10 minutes. The Fair is HK$7.40. The Peak Tram runs every day at St. John's Building Peak Tram Station, including Sundays and Public Holidays, between 07:00am and midnight. The tram departs every 15 minutes. -- No, eating and drinking are not permitted at Madame Tussauds. -- You can buy drink at the exit of the attraction. -- It takes around 1.5hrs to complete a visit of Madame Tussauds, including SCREAM. -- No. Due to security reasons, guests are not permitted to leave any bags or luggage at Madame Tussauds. Can I take a pet into Madame Tussauds? -- No. No animals or pets are permitted into Madame Tussauds. -- Yes. At Madame Tussauds you can get up, close and personal with celebritites, icons and historical leaders in a fully interactive experience. -- SCREAM is recommended for individuals over the age of 12. As this is a very intense experience with live actors, sudden loud effects and flashing lights, it's also not suitable for those with high blood pressure, senior guests, expectant mothers or other health issues of a similar nature. How long does 'SCREAM' take? -- Cameras are allowed in all areas of Madame Tussauds apart from Jackie Chan's wax figure and SCREAM. -- Yes. There are photograph opportunities throughout Madame Tussauds to ensure you take home an everlasting with your favorite celebrity. Photograph collection points are located throughout the attraction. -- Yes. You can also purchase key rings, magnet, mugs, mini figurine and glass cubes. Photograph collection points are located throughout the attraction.